So, of course I wasn’t sure if I should address this, or simply begin posting again and act like nothing happened. I’m sorry I fell off the face of the earth for awhile! Life just went in fast forward and I just knew I couldn’t keep up with the blog during that period. First I served as a grand juror for a MONTH, then went back to work for a week, and the following week left to DR for another week. Now it’s already December and I’m just wondering how is time flying by so quickly!? Pinterest is this magical little website that has LOADS of tips, tricks, recipes, and crafts all balled into one! It’s amazing. I use Pinterest for almost everything & I have no shame in that whatsoever. What’s amazing is that a lot of the pins on the site are uploaded from fellow bloggers! So you get to learn something new, while finding new blogs to follow as well! 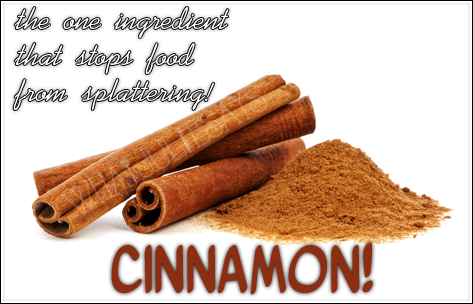 One of the tricks I learned about 2 months ago from this awesome site is that by sprinkling cinnamon into hot oil before you fry something, it stops it from splattering all over the place! If you know me, you know I’m terrified of frying food because I hate the splattering. I tend to fry food while holding a HUGE, clear, pot holder as my shield. When I read about this trick, I knew I had to try it out. Now I know what you’re thinking…WHAT? CINNAMON? NO WAY. Trust me. IT WORKS! I thought the same, until I decided to put it to the test. I can admit that, so far, I’ve only used it when frying eggs. It splatters, but not as heavily as it would without the cinnamon.The eggs don’t pick up the cinnamon flavor (side note: sometimes it does, depending if you accidentally get a little heavy handed when sprinkling) and even if it does, with a sprinkle of salt & pepper before or after cooking, the cinnamon flavor is masked. I’m going to use this trick when I fry things such as meats and other things, and see if it works just as well. I don’t suggest doing this for deep frying, I don’t think it’ll work in that case. Use this trick simply for shallow frying. 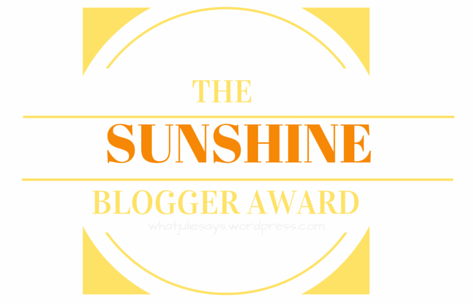 My fabulous friend Valerie just nominated me for the Sunshine Blogger Award which I’m super thankful for; we all know I love tag posts! I know I tell you this all the time, but definitely check out Val’s blog! Super chic, and she posts weekly! If you want someone who’s consistent, friendly & runs an excellent blog, she’s the one to follow! What’s one thing you love about the fall season? The change of weather!!! I can’t stand summer because it’s so hot and humid! I love the cool breeze in the fall, it instantly makes me happier! When you’re feeling down, what do you do to feel better? I listen to music whenever I’m not in the best of moods. Listening to some of my favorite artists and bands always cheers me up. What is your comfort food? Pizza. Always and forever. Where is your favorite place to be and why? Definitely Manhattan. I know so many people who can’t stand being in the city because it’s always so crowded, and full of tourists, but I love it. I’m a city girl 100%. What’s one thing that makes you happy? As Valerie said, it’s going to sound super cheesy, but, One Direction. Just everything about those 4 (almost typed 5.. ) cheer me up instantly. If you could travel anywhere right now, where would you go? In the U.S, California; Out of the country, England. What is one thing you love about yourself? This might sound silly, but, my ability to say no. I know so many people who don’t know how to tell others no. I don’t do things simply because someone feels I need or should do something. If I don’t feel like it, there’s no changing my mind, so don’t bother. What is one thing you love about your blog? Can I choose everything? I love my header, I love the schedule I’ve created, and I love the interaction I have with my readers. Blogging isn’t easy, but it’s definitely worth it all. Why do you blog? 1. To escape. Blogging helps get my mind off things when I’m stressed and/or upset. 2. For the interaction. I love meeting new people, making new friends and sharing my tips/tricks and/or advice with the world. What are you looking forward to this weekend? Probably grocery shopping. I’m working on going back to this healthy lifestyle journey I’ve been on for the past few years. I know I say this like every other month, but I really need to try my hardest. Arielle @ With All My Affection. Hope you all have fun with this post! I changed it up, as usual. I posted 6 questions instead of 3 or 11 and I nominated 6 bloggers instead of 11! Even if I personally didn’t nominate you, feel free to post this on your blog and tag me! I’d love to read your answers! You know those days when you’re just so tired that you question how you’re even functioning throughout the day? Yup, that was me today. When I woke up, I could barely get out of bed. I didn’t want to take a shower, let alone get dressed and brush my hair. It was all too much. But of course, I mustered up some energy and managed to get myself ready. While at work, I felt fine. I wasn’t yawning every second, and I didn’t run to the coffee pot when I walked in, which is a good sign. When it came to around lunch time, that’s when I started getting weird. I burned something, and was pretty clumsy. I made it through the day, and couldn’t wait to come home. Hey guys! This week I was more prepared than ever for my Tasty Thursday post! I took my pictures in advance, which I staged of course, & edited, and have been waiting to upload all week!! The day is finally here lol! 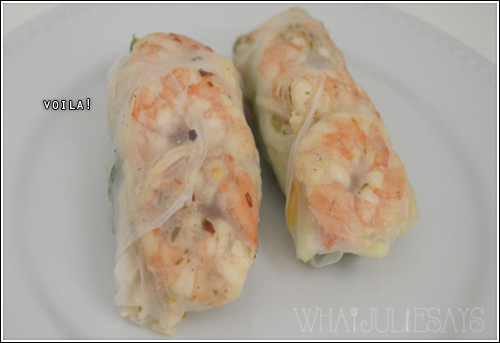 Here’s how to make super simple shrimp spring rolls. 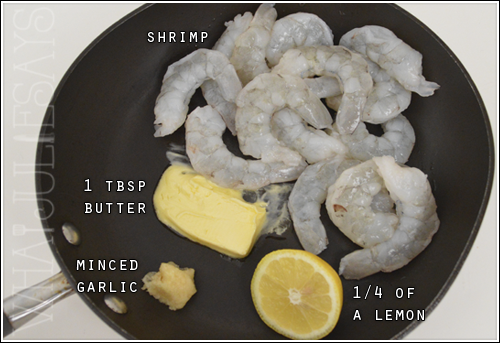 First, take your thawed, deveined & peeled shrimp and add it to a pan with the following ingredients. Season your shrimp. You don’t want to overdo the seasoning, because you don’t want the flavors of the roll all to overwhelm each other. So keep it pretty basic. 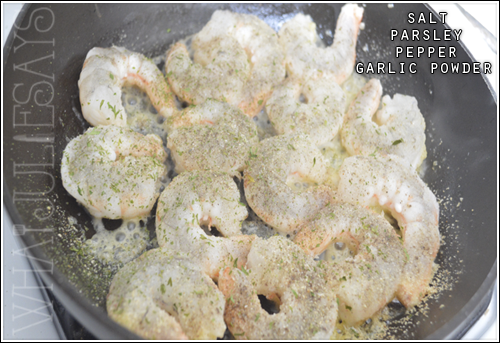 Once the shrimp is done, cool them prior to slicing them. I sliced mine in half because I didn’t realize I bought jumbo shrimp. 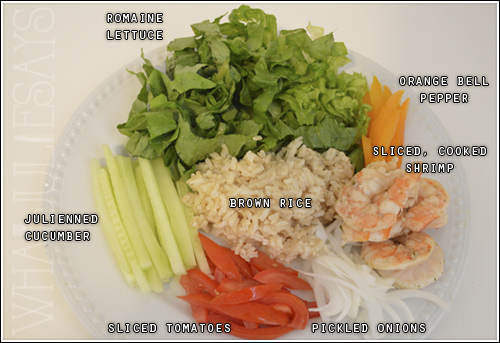 So if you’re not using jumbo shrimp, don’t worry about slicing them. Now onto the wrap ingredients. Tada! They’re not perfect, because those wraps are super hard to work with haha, so they kept ripping! However, they were super refreshing and delicious!! If you have any recommendations on other things I should wrap into a spring roll let me know! These were super fun to make. 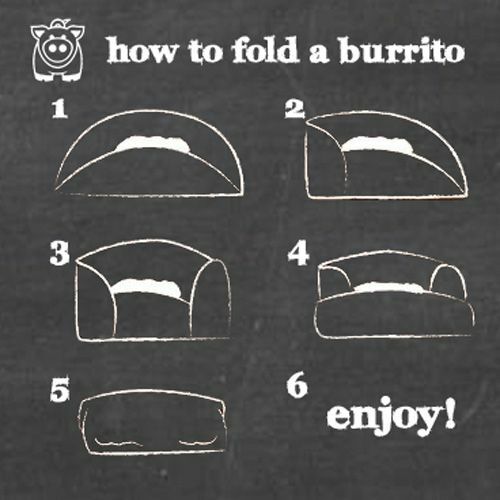 & If you try this at home, leave me a comment below!